- It can render on Brick / Block / light weight block (AAC/CLC) masonry walls. Owing to the efforts of our dedicated team of professionals, we have been constantly engaged in offering the best quality Rendering Machine. 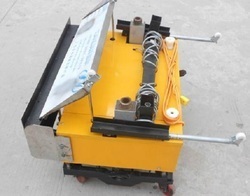 We are instrumental in providing to our valuable customers excellent quality range of Rendering Machine. 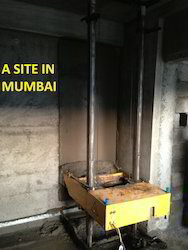 It is an ideal equipment for plastering residential buildings and office buildings. It can achieve mortar coating and smoothing at the same time. It provide effortless, time saving and high quality rendering for wall.